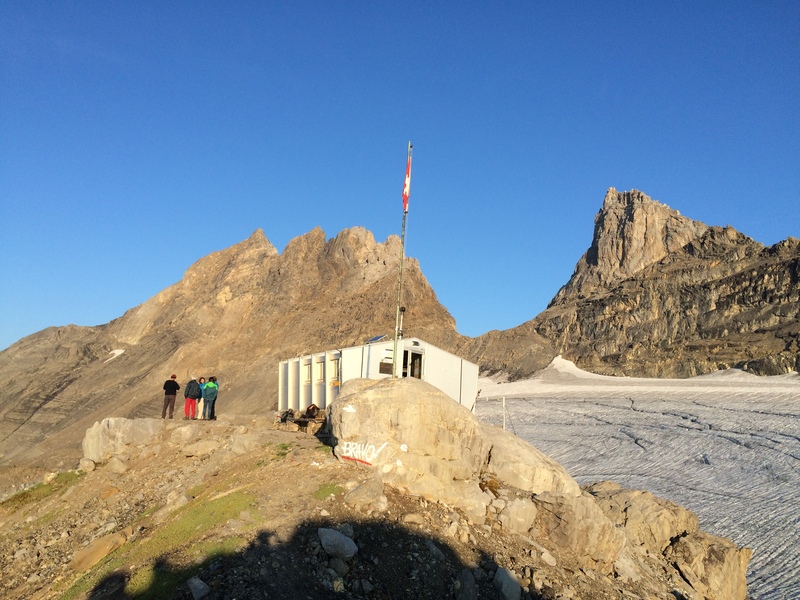 A little gem of a hut, framed by the bulk of the Dents-du-Midi and with a spectacular view stretching from the Alps of Mont Blanc to the Bernese Alps, with a few of Valais' 4 000m peaks thrown in for good measure! It overlooks the dam and Lake Salanfe. A custodian is present during the season. There are 24 dormitory places, with blankets available (own sheets or sleeping bag liner strongly advised). No running water and no food supplies (own food to be brought). Solar lighting, wood furnace.